These would be really interesting stories- except it is basically one long mockery of the people of this time. Shockingly enough they were not living in our wonderfully enlightened days and OMG , apparently that’s unforgivable and laughable. 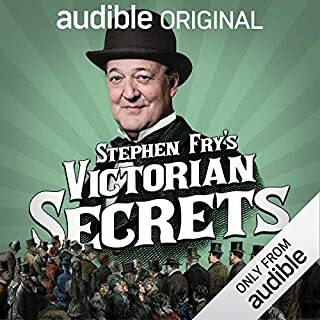 Stephen Fry, Daniel Rigby and Tamsin Greig star in all three series of the poignant BBC Radio 4 comedy drama. 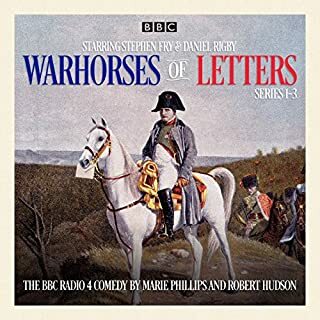 Warhorses of Letters is the world's finest and best-loved equine, military, epistolary romance, comprising the newly discovered love letters between two horses united by passion but cruelly divided by conflict. It was great until post-Waterloo where it all just went stupid. And by stupid, I mean REALLY stupid. Can deal with horses writing love letters, but not horses writing novels.